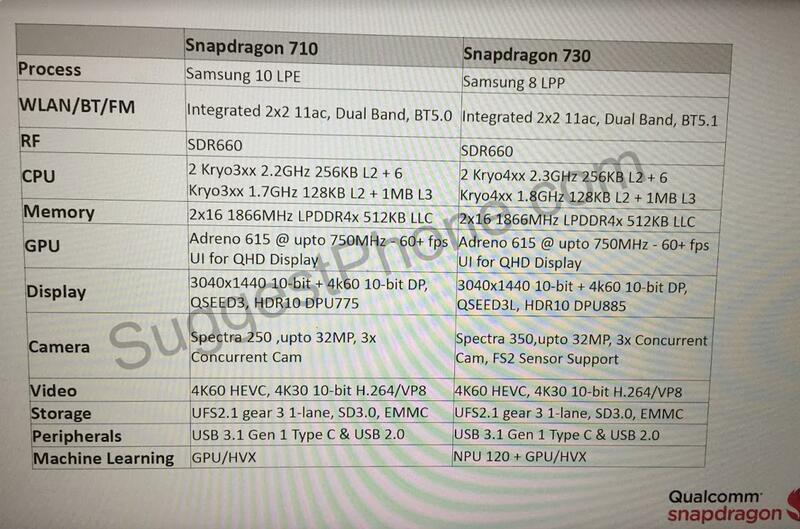 Finally, more details connecting the Snapdragon 710 and Snapdragon 730 have been leaked. The Snapdragon 700 series serves to reduce the performance and efficiency gap between the Snapdragon 600 and 800 series of SoCs and we have to tell you right now that the specifications are very impressive. Though it will still be costly to manufacturers, it still means that phone makers will be able to introduce cheaper phones with near-similar capabilities as the high-end Snapdragon 845 and Snapdragon 855. 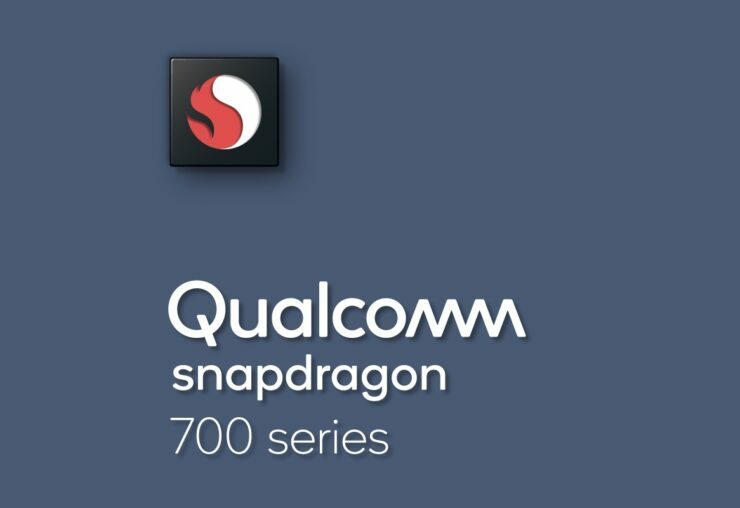 We have also included all the necessary details in our Snapdragon 700 series specs and features roundup, which also details info related to the Snapdragon 710, so we highly recommend that you check these out as well. As per the specifications, the Snapdragon 710 is made on Samsung’s 10nm LPE (Low Power Early) process, which offers 27 percent higher performance or 40 percent lower power consumption compared to its 14nm predecessor. It is strange Qualcomm never went with the 10nm LPP process, but that is probably because Samsung started the production of 10nm LPP parts in last November. For wireless connectivity, there is a dual-band Wi-Fi chip with Bluetooth 5.0, with the RF transceiver being the SDR660, the same chip present in the Snapdragon 630 and 660. Instead of the usual 4 + 4 CPU cluster, we are going to see a 2 + 6 Cluster of Kryo 3xx cores. The 2 performance cores might be customized versions of the ARM Cortex-A75 and will run at a max frequency of 2.20GHz. As for the 6 power-efficient cores, they could be customized ARM Cortex-A55s and will run at a max frequency of 1.70GHz. The GPU will be Adreno 615 with a max frequency of 750MHz. The Snapdragon 710 will provide a resolution support of WQHD+ 3,040 x 1,440 which means a 19:9 aspect ratio. The camera will also be getting a specs bump with the latest Spectra 250 ISP with support for up to 32MP sensors. The Snapdragon 710 will get support for both UFS 2.1 and eMMC flash memory. For charging and data transfer, there is support for USB 3.1 Type-C and USB 2.0. Unfortunately, the SoC will not feature a dedicated NPU for machine learning purposes, so all of that work is going to be handled by the GPU and DSP. The Snapdragon 730 will be made on the more advanced 8nm LPP process, resulting in a 10 percent smaller surface area and 10 percent less power consumption than 10nm LPP. Qualcomm was reported to be the first company to use 8nm LPP and sure enough, the Snapdragon 730 might be the first chip made on this architecture. The CPU on Snapdragon 730 will obviously be more powerful. It will have a similar 2 + 6 cluster but the cores with Kryo 4xx cores will run at higher frequencies (2.30GHz and 1.80GHz). Though the GPU and display support is exactly the same as the one on the Snapdragon 710 but the upgraded Spectra 350 ISP is also present. Here is another difference; for Machine Learning, Qualcomm will finally add a dedicated NPU (Neural Processing Unit) called NPU120 on the Snapdragon 730. We have already seen NPUs present in the Kirin 970 and having a dedicated chip will surely boost performance. We believe that the Snapdragon 710 will be the first to arrive in devices, followed by the Snapdragon 730 because the advanced 8nm LPP process might also get delayed in the future. After looking at the leaked specifications, do you think Qualcomm has finally started caring about the lower segments of the smartphone market? Do let us know down in the comments.